On April 4, 2014, Tad Walsh wrote an article for the Deseret News explaining the new roles that sister missionaries are taking on. Real experiences are shared about how sisters in the Las Vegas, Nevada and in the Provo, Utah missions are implementing these new positions and responsibilities. These new roles include: taking part in the newly created monthly mission leadership council; training elders and sisters in district, zone, and mission meetings; taking on responsibility over the welfare of all of the sister missionaries; and reporting to the mission president or his wife on issues other sisters face. I am a proud advocate of the new responsibilities that the sister missionaries have been given. From what I understand, there were roadblocks that hindered sisters from doing their jobs properly. For instance, from Walsh’s article, Elder Austin Fuller “recalls feeling frustration about the responsibility he had for sister missionaries when he had fewer tools to help them. Elders and sisters can’t go on exchanges, for example, and elders are not allowed to counsel sisters.” Now that has all changed. 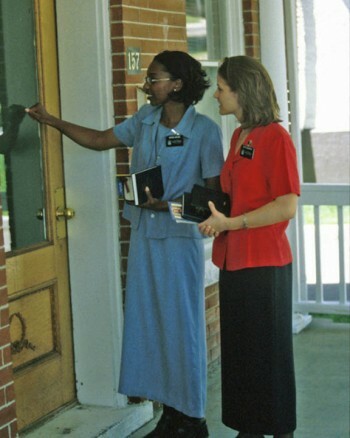 The sisters have become more effective as missionaries. This has caused a change for good in the efforts of missionary work. I believe that the reason for the changes is that women are a strong force within the Church, and President Thomas S. Monson, thePresident and Prophet of The Church of Jesus Christ of Latter-day Saints (often called the “Mormon” Church by the media and others), and his Apostles have felt and were given divine revelation to implement these changes for sisters and wives of mission presidents. Giving sisters more responsibility and more roles to use together with their fellow missionaries, whether they are elders or sisters, will make the process of spreading the gospel easier.